Packed with five different digital, sticker-based holiday activities, Snow Go Kiddo provides boundless holiday fun for kids ages four and up. Starting with an oval shaped like a chubby face, kids can create tons of different Silly Santas by selecting and placing eyes, ears, noses, mouths, beards, hats, glasses, and other silly stuff. Kids can create over 10,000 different elves and arrange them in scenes with the elf-part stickers provided. There is some magic in that ol' silk cap! Kids can construct endless variations of snowmen using the stickers provided. Designer text elements such as "Happy Holidays!" allow kids to create and save holiday card images that they can send to friends and family. The Snow Go Kiddo characters are decked out for winter and enjoying the holiday in these fun stickers and backgrounds. 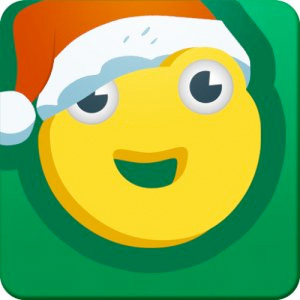 Kids can combine the stickers and backgrounds from all the app's activities to celebrate the season.